I still had some fresh cranberries leftover from Thanksgiving that I kept in the freezer and I knew that I wanted to try and do something with them for the 12 Days of Christmas series. My niece’s preschool was let out for Winter Break this past week and I wanted to make her teacher a small gift of appreciation. So, she and I made this loaf together. She’s becomes quite the good little sous chef/baker. The first breads that I made when I was starting out baking were quick breads. They’re very easy to put together, involve no work with yeast, kneading, proofing, and are pretty hard to mess up. They store and ship well too, which makes them ideal for gift-giving at this time of year. Cranberries and oranges are an ideal flavor combination. 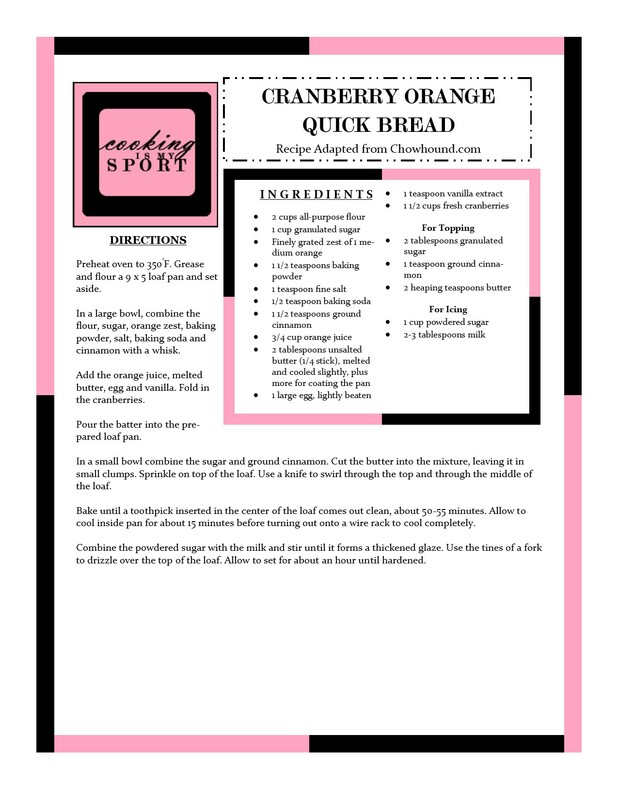 The sweet of the orange balances out the tart of the cranberry and vice versa. Here, the fresh cranberries are paired with both orange zest and juice. I also added a cinnamon swirl to the batter that gives it more of a ‘wintery spice flavor’. You may have noticed that I also really like adding icings to things, so there’s one of those here too. You can leave it out if you like, the bread is yummy enough all on its own to do without. Quick bread is great all on its own alongside coffee or tea. It’s also sturdy enough to make awesome french toast and bread pudding. Do whatever you want with it, really. Just make & try it. I’m gonna go ahead and share this at the Fiesta Friday #201, co-hosted this week by Monika @ Everyday Healthy Recipes and Jhuls @ The Not So Creative Cook. Stay tuned for more recipes in the 12 Days of Christmas series, I’m really hyped to share what’s to come. Preheat oven to 350°F. Grease and flour a 9 x 5 loaf pan and set aside. In a large bowl, combine the flour, sugar, orange zest, baking powder, salt, baking soda and cinnamon with a whisk. Add the orange juice, melted butter, egg and vanilla. Fold in the cranberries. In a small bowl combine the sugar and ground cinnamon. Cut the butter into the mixture, leaving it in small clumps. Sprinkle on top of the loaf. Use a knife to swirl through the top and through the middle of the loaf. Bake until a toothpick inserted in the center of the loaf comes out clean, about 50-55 minutes. Allow to cool inside pan for about 15 minutes before turning out onto a wire rack to cool completely. Combine the powdered sugar with the milk and stir until it forms a thickened glaze. Use the tines of a fork to drizzle over the top of the loaf. Allow to set for about an hour until hardened. There are certain foods that I just can’t have in my house, for reasons. When I was younger I loved the Keebler Chips Deluxe chocolate chip cookies, especially the ones with rainbow M&Ms. I could put away more than a few of those and STILL have an appetite for dinner. This was also when I had the metabolism of an Olympic athlete. I love Waffle Crisp cereal, but I can’t let it be in my house. Why? Because I can eat half a box of Waffle Crisp handful by handful in one sitting, that’s why. I don’t even need milk. Just leave the box with me and go. Therefore, it’s not a good idea for me to have it. There’s one other snack that although I love, I know I just don’t have the willpower to summon portion control for and just don’t buy. Any guesses? I’ll give y’all a hint. It’s a cracker. It comes in a red box. It also looks very similar to today’s recipe. My love for Cheeze Its is especially weird in light of the fact that I…don’t like cheese in and of itself (except for on pizza, but that’s different). I don’t know, there’s just something about that salty flavor that I can’t get enough of or resist. Because I have such a hard time putting them down, I just can’t have them in the house. My salty munchie cravings I’ve found are much stronger than sweet ones. 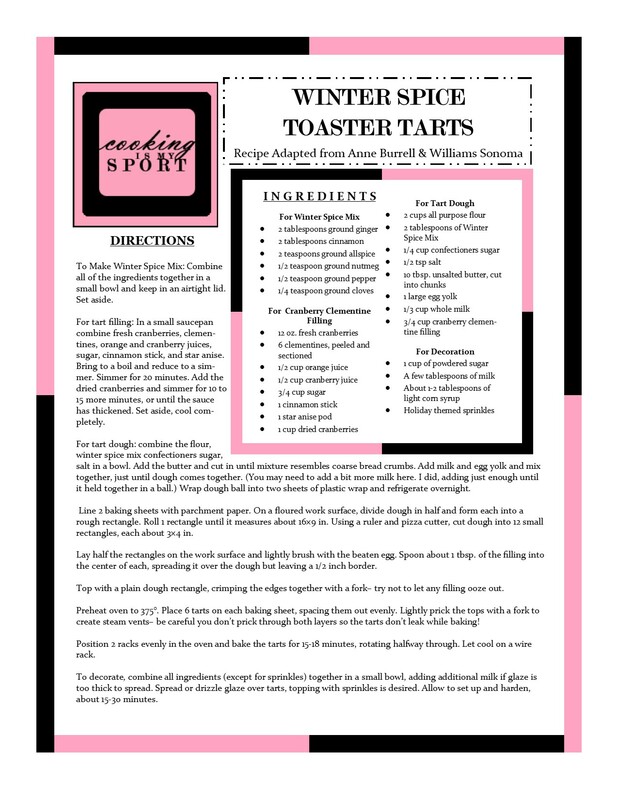 Although most people favor sweets at Christmas, I thought it would be nice to sneak a savory recipe or two in this year’s series. This is one of them. If you’ve been following the blog this year then you’ll know I’ve put out several homemade cracker recipes. They’re easy to make and I’ve found that the results are just as good (and sometimes even better) than the ones you can buy in the store. 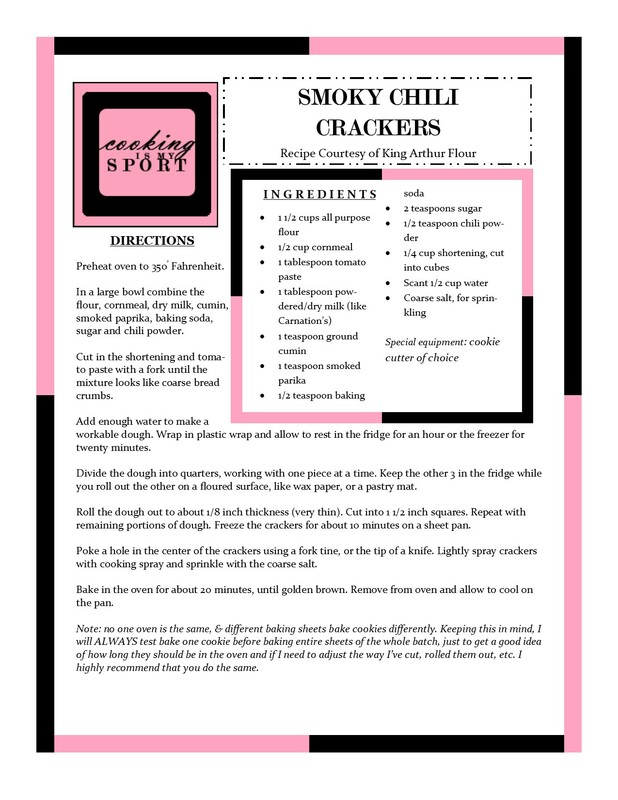 Some flavor profiles aren’t necessarily available through store-bought crackers and I find it fun to create my own and get something new that’s exactly what I want. So, do these taste like Cheeze Its? No. But, I still REALLY liked how they turned out. First of all, there’s no cheese in them. They’re flavored with cumin and smoked paprika, and have an earthy smoked flavor. The tomato paste balances out that smokiness and also gives them the warm orange hue. 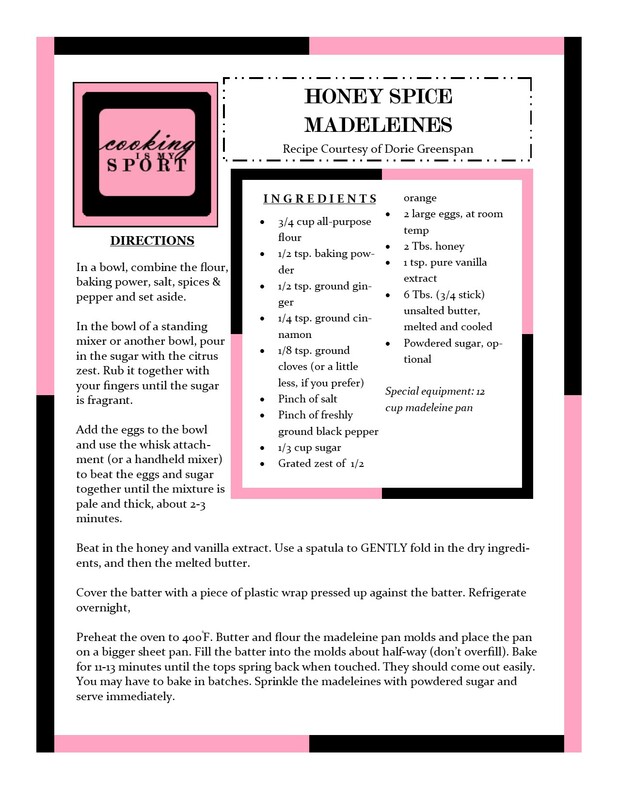 There’s also a touch of chili powder to give a kick on the back end. The texture is somewhat coarse thanks to the cornmeal in the dough. I think these crackers would be just fantastic with hummus, french onion dip, spinach dip or soup. Those who like raw cheese would also really enjoy eating a small wedge on top. Try and enjoy, will ya? In a large bowl combine the flour, cornmeal, dry milk, cumin, smoked paprika, baking soda, sugar and chili powder. Cut in the shortening and tomato paste with a fork until the mixture looks like coarse bread crumbs. Add enough water to make a workable dough. Wrap in plastic wrap and allow to rest in the fridge for an hour or the freezer for twenty minutes. Divide the dough into quarters, working with one piece at a time. Keep the other 3 in the fridge while you roll out the other on a floured surface, like wax paper, or a pastry mat. Roll the dough out to about 1/8 inch thickness (very thin). Cut into 1 1/2 inch squares. Repeat with remaining portions of dough. Freeze the crackers for about 10 minutes on a sheet pan. Poke a hole in the center of the crackers using a fork tine, or the tip of a knife. Lightly spray crackers with cooking spray and sprinkle with the coarse salt. Bake in the oven for about 20 minutes, until golden brown. Remove from oven and allow to cool on the pan. Note: no one oven is the same, & different baking sheets bake cookies differently. Keeping this in mind, I will ALWAYS test bake one cookie before baking entire sheets of the whole batch, just to get a good idea of how long they should be in the oven and if I need to adjust the way I’ve cut, rolled them out, etc. I highly recommend that you do the same. Its funny; I’ve made hundreds of holiday cookies, but I don’t think I’ve ever participated in an actual cookie swap. Not a single one. You guys know what those are, right? Cookie swaps are sugar overload get-togethers where each of the attendants bakes up a large batch of cookies and brings them to share & ‘swap’ everyone else who’s brought their own recipe of cookies to the party. Everyone is supposed to bring a different type so that there’s as much variety as possible. Sometimes there will be recipe exchanges along with the cookies. Sometimes people will vote on which cookie at the swap is the best tasting. It’s probably just in my competitive nature but if I did actually go to a cookie swap, I would want MY cookies to be the favorite. If all of the cookies were laid out together on a platter, I’d want MINE to look the prettiest. I’d definitely have to win, which means that the cookies I took with me would A) Not only have to be delicious, but B) also be just as great to look at. Having said all of that, I can guarantee that of all the cookies I’ve baked–and there have been many–if I had to choose one recipe to bake and bring to a cookie swap, this one right here would be it. No question. It more than delivers in the taste department, the details of which we’ll get to in a second. But first, can we talk about the presentation? I mean, come on. They just LOOK like the perfect Christmas cookie, right? What we have here is a cream cheese buttery cookie dough that gets rolled out flat, sprinkled with cinnamon sugar then rolled up in a tight cylinder, cinnamon-roll style. Individual cookies are cut from the cylinders then baked until golden brown. The cookie’s texture is tender and slightly crisp; think somewhere in between a sandie and one of those butter cookies that come out of the blue tins. The orange zest in the dough gives a slight but pleasant citrusy after-taste to them that complements the cinnamon inside beautifully. They’re really very delicious guys. They remind me of something that the Keebler company would mass produce and sell at Christmas. Except Keebler didn’t make them. I did. And now you can too. 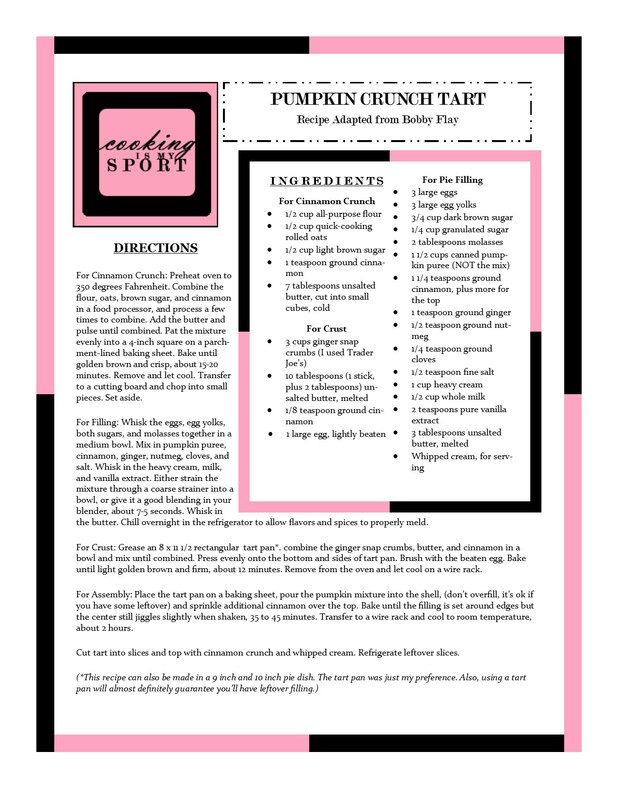 Before I even made this recipe, I knew that I was going to have a trial-error experience with it. They were just too pretty NOT to run into some technical difficulties. Fortunately for you guys, you get to find out how to make them without having to make the same mistakes I did. Following my clear and pretty straight forward instructions should make it so that there’s no reason why your cinnamon roll cookies won’t turn out exactly like the ones you see in the pictures. 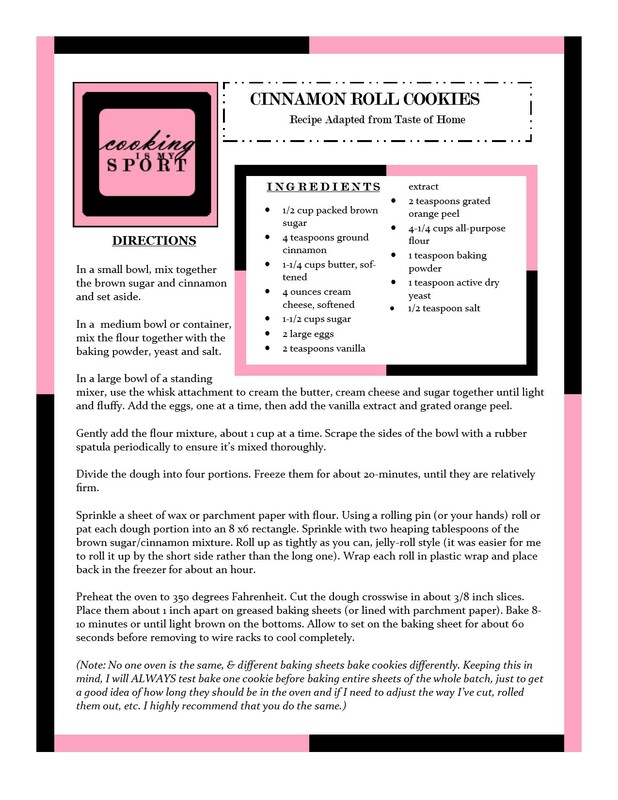 I’d say that the most important step to nailing this recipe is making sure that your dough is the right temperature, especially before rolling it up into the cylinders that you cut into the individual cookies. When I first made these, my dough was still too soft; I didn’t give it enough time to chill in the freezer so it tore and broke apart AFTER I had already sprinkled with the cinnamon sugar and was attempting to roll it. Let your dough chill out in the freezer long enough so that it can be rolled up just as easily as cinnamon roll dough can. If you use the freezer rather than the refrigerator, it shouldn’t take too long. Roll the cylinders up as tightly as you can; loose rolls make the swirls in the cookies spread wide and cause some of the filling to spill out. Let the rolled up cylinders chill out in the freezer long enough so that when you cut them into individual cookies, the rolls don’t deflate. If you keep this dough as chilled and firm as possible, it’ll be good to you. Promise. And, you’ll be the star of any cookie swap party, that’s for sure. In a medium bowl or container, mix the flour together with the baking powder, yeast and salt. In a large bowl of a standing mixer, use the whisk attachment to cream the butter, cream cheese and sugar together until light and fluffy. Add the eggs, one at a time, then add the vanilla extract and grated orange peel. Gently add the flour mixture, about 1 cup at a time. Scrape the sides of the bowl with a rubber spatula periodically to ensure it’s mixed thoroughly. Divide the dough into four portions. Freeze them for about 2o-minutes, until they are relatively firm. Sprinkle a sheet of wax or parchment paper with flour. Using a rolling pin (or your hands) roll or pat each dough portion into an 8 x 6 rectangle. Sprinkle with two heaping tablespoons of the brown sugar/cinnamon mixture. Roll up as tightly as you can, jelly-roll style (it was easier for me to roll it up by the short side rather than the long one). Wrap each roll in plastic wrap and place back in the freezer for about an hour. Preheat the oven to 350 degrees Fahrenheit. Cut the dough crosswise in about 3/8 inch slices. Place them about 1 inch apart on greased baking sheets (or lined with parchment paper). Bake 8-10 minutes or until light brown on the bottoms. Allow to set on the baking sheet for about 60 seconds before removing to wire racks to cool completely. Goodness. Has it been a year already since we did this? Time flies. If you’re a new follower and are wondering what ‘this’ is, then allow me to fill you in. ‘This’ is the day that we’ll be starting the annual 12 Days of Christmas series on Cooking is My Sport: a series of 12 days of 12 recipes of Christmas themed goodies that I dump on you guys in rapid succession that are specifically designed to make you hungry for carbs/sugar/Christmas cheer. Because I find that is in one of my especially strong skill sets. There will (of course) be plenty of cookies and other sweets to come in the following days, but I also wanted to try and incorporate some other types of baked goods into the series as well. Yummy Christmas food comes in sweet AND savory packages. Case in point, today’s recipe. We’re coming right off the heels of Thanksgiving where a lot of people cook/eat abundant amounts of stuffing and/or dressing. Our family makes dressing (the stuff you cook all on its own in a separate baking dish, a very safe distance away from the raw, uncooked bird), and we like to eat it at both Thanksgiving AND Christmas. It just wouldn’t be the holidays without it. Whether you’re on Team Dressing or Team Stuffing, chances are you’re fond of at least a core set of flavors and ingredients that can be found in both (if they’re any go0d anyway). 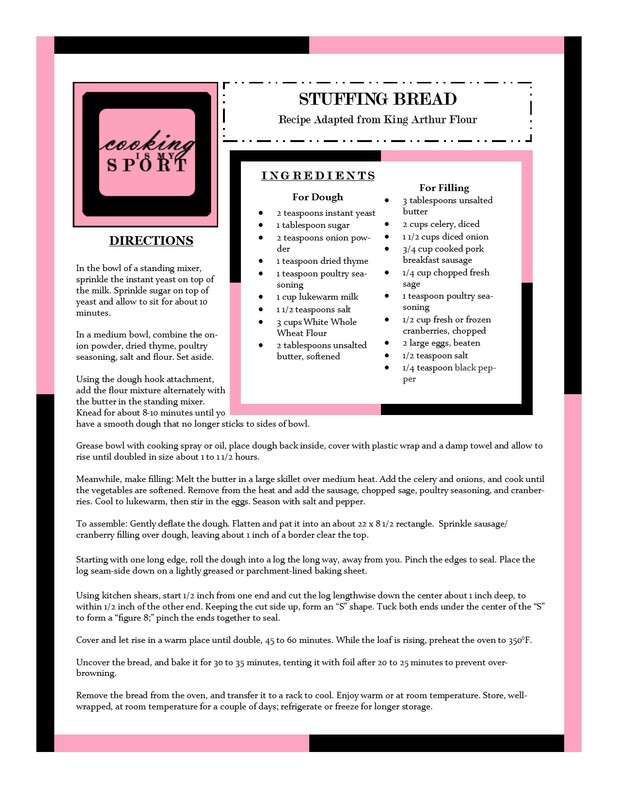 A lot of times, bread is crumbled and these ingredients and flavors are added TO it along with some egg and chicken broth to moisten it before it gets baked into a kind of casserole. But what would happen if those flavors and ingredients were mixed together to MAKE a scratch made yeast bread? This. This is what would happen. And now that I’ve got your attention, I’ll elaborate. What you’re looking at is a whole wheat loaf of bread that I flavored with poultry seasoning, then rolled up with ingredients meant to remind you of the taste of stuffing and/or dressing: sage, celery, onion, browned sausage and cranberries. So, my idea of ensuring that I had a loaf that would still rise and bake without falling apart was to see if I could take a similar shaping method that was done for the Pane Bianco I did a while ago and apply it here. The dough is rolled out into a large rectangle, the filling is spread out, then the dough is tightly rolled up into a log. That log is split open, then turned inside out to reveal the layers created by the rolling–which, creates a very pretty presentation if I may say so myself. You’ll get huge kudos and props for a process that is actually fairly simple. Oh, and I mentioned how delicious this stuff is, didn’t I? No? Oh, well yeah: it’s amazing. Using whole wheat flour as the base creates a nutty flavor of the dough that’s nicely complimented by the herbs from the sage, the savory meaty flavor of the sausage and the sweetness of the cranberries. They all balance one another so well. We ate this loaf both for Thanksgiving and warmed up for a few seconds in the microwave for breakfast in the days that followed and were VERY happy campers. I think that you and your wolfpack will be too should you choose to bake them a loaf. Linking up this recipe to Fiesta Friday #148, cohosted this week by Linda @ La Petite Paniere and Jhuls @ The Not So Creative Cook. Stay tuned for more recipes to come in the 12 Days of Christmas; we’re just getting started! In the bowl of a standing mixer, sprinkle the instant yeast on top of the milk. Sprinkle sugar on top of yeast and allow to sit for about 10 minutes. In a medium bowl, combine the onion powder, dried thyme, poultry seasoning, salt and flour. Set aside. Using the dough hook attachment, add the flour mixture alternately with the butter in the standing mixer. Knead for about 8-10 minutes until you have a smooth dough that no longer sticks to sides of bowl. Grease bowl with cooking spray or oil, place dough back inside, cover with plastic wrap and a damp towel and allow to rise until doubled in size about 1 to 1 1/2 hours. Meanwhile, make filling: Melt the butter in a large skillet over medium heat. Add the celery and onions, and cook until the vegetables are softened. Remove from the heat and add the sausage, chopped sage, poultry seasoning, and cranberries. Cool to lukewarm, then stir in the eggs. Season with salt and pepper. To assemble: Gently deflate the dough. Flatten and pat it into an about 22 x 8 1/2 rectangle. Sprinkle sausage/cranberry filling over dough, leaving about 1 inch of a border clear the top. Starting with one long edge, roll the dough into a log the long way, away from you. Pinch the edges to seal. Place the log seam-side down on a lightly greased or parchment-lined baking sheet. Using kitchen shears, start 1/2 inch from one end and cut the log lengthwise down the center about 1 inch deep, to within 1/2 inch of the other end. Keeping the cut side up, form an “S” shape. Tuck both ends under the center of the “S” to form a “figure 8;” pinch the ends together to seal. Cover and let rise in a warm place until double, 45 to 60 minutes. While the loaf is rising, preheat the oven to 350°F. Uncover the bread, and bake it for 30 to 35 minutes, tenting it with foil after 20 to 25 minutes to prevent over-browning. Remove the bread from the oven, and transfer it to a rack to cool. Enjoy warm or at room temperature. Store, well-wrapped, at room temperature for a couple of days; refrigerate or freeze for longer storage.